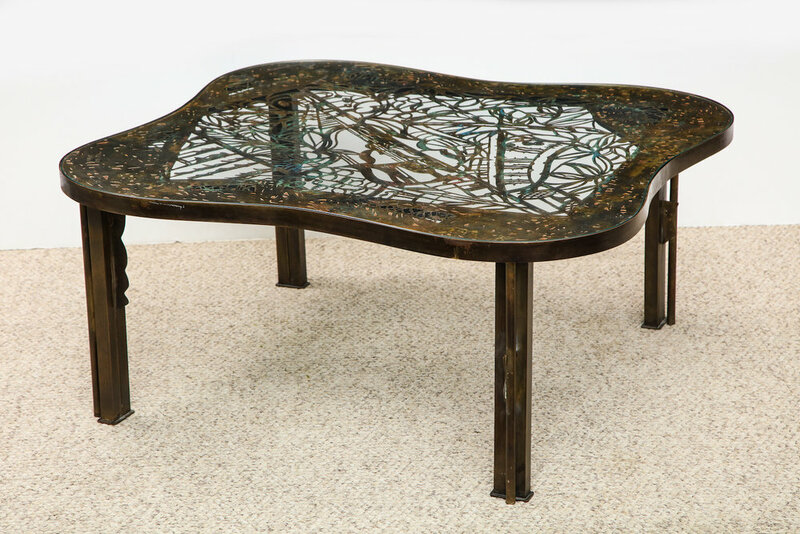 Bronze table top with finely-cut abstract design around a center image of a viola. 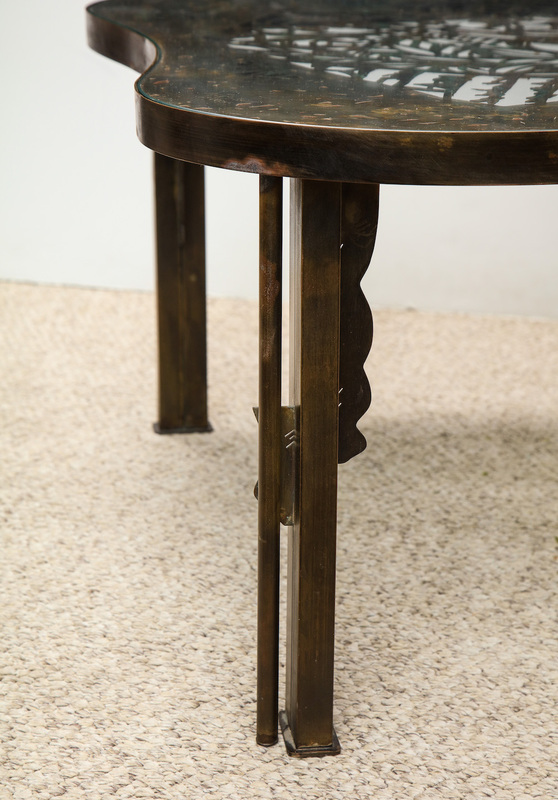 Enameled color to the top and sculptural legs. Artist signed on top with custom-cut glass allowing for full usage. h. 17.5" d. 35" w. 39"